When it comes to surgical procedures we often contemplate whether it is the right decision. This can be due to potential risks, fear of undergoing surgery or simply being disappointed in the results. When it comes to Brachioplasty, or upper arm surgery, there are visible signs that may push individuals to undergo this procedure. Weight loss for a healthier or slimmer you can be exciting and admirable. Yet, drastic weight loss can bring on some new undesirable changes, such as excess skin and tissue that cannot be tightened through diet or even exercise. Especially around the arms, excessive skin can be quite uncomfortable and unwanted. Brachioplasty can help tighten the skin and enhance your overall look. However, it is important to note that you should wait a solid amount of time before scheduling any procedure. If you continue to lose weight or have not finished any weight loss programs, this can affect your final results. It is best to give your body time to completely lose the weight so that results are at their maximum potential. Recent studies have actually shown women are paying more attention to their arms than ever before. Showing off a body that seems energetic, athletic, and overall youthful starts with the arms. While regular exercise can build toned arms, it cannot change skin laxity, or excess skin. Age can also be affecting potential results at the gym as it impacts skin elasticity. You may notice the skin that was once firm and tight is now loose or sagging, no matter how many workouts or cardio training you’ve implemented in your daily life. Brachioplasty surgery can offer the results you need for firm and slim arms that the gym cannot promise. This can help you feel more comfortable while wearing short sleeved or strapless shirts. Many women complain they feel really uncomfortable when they’re waving their arms, working out, or simply engaging in daily activities while their arms are exposed. This is due to the flabby or excess skin they have on their arms that they do not want to show. Having such discomfort when it comes to your arms can be disappointing and inconvenient. Every woman should be able to wear whatever they wish without having to feel self-conscious or uncomfortable with excessive skin. It is important to remember that Brachioplasty is indeed notorious for its scars and has a recovery period or healing process. Depending on the candidate’s skin laxity, the surgeon will decide the type of Brachioplasty performed. 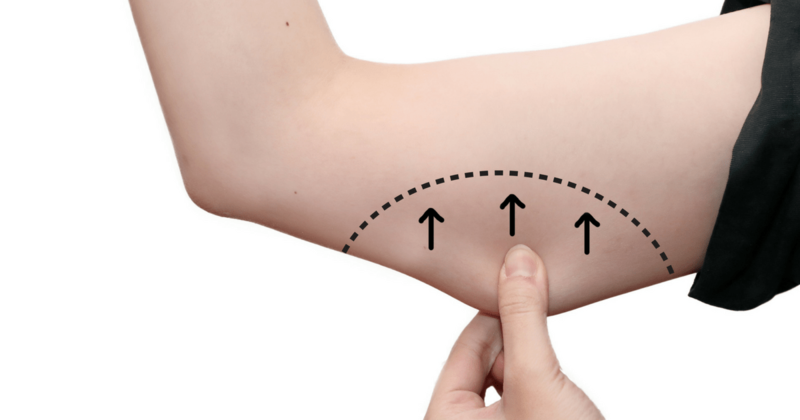 This can include surgery from the elbow to your armpit, just the armpit, or from the armpit down to the chest. Also, many people do not understand the critical difference between liposuction and Brachioplasty. Many individuals who want to remove the flabby skin on their arms opt for liposuction, when they should be choosing Brachioplasty. Liposuction removes fat, not skin. Most candidates who choose liposuction can ironically have even looser skin and be very disappointed in the results. An ideal candidate for liposuction is a young individual who has tight skin and wants to reduce fat on their arms. An ideal candidate for brachioplasty, on the other hand, will have loose skin and less fat. As this is the case, you need a surgeon who knows exactly what is right for you. Brachioplasty can offer many benefits and can be a great solution to reducing excess skin on your arms. To get started, schedule a consultation with Dr. Tattelbaum today.